Podcast S8E11 – Mike, Rob, and Tara discuss self-driving cars, Guru Express Websites, your tech questions, and more! Mike, Rob, and Tara discuss self-driving cars, Guru Express Websites, your tech questions, and more! 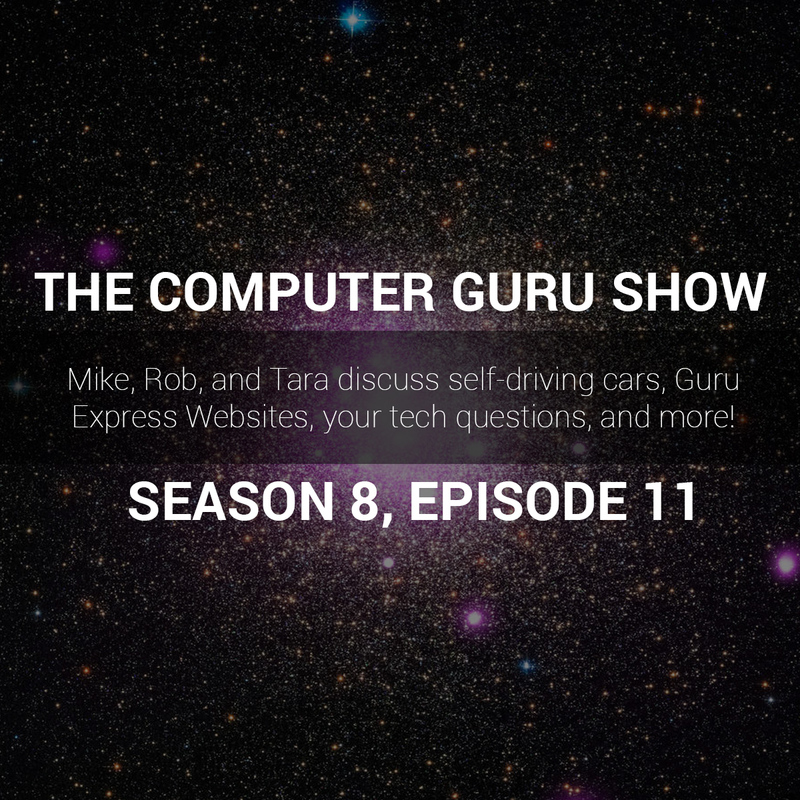 Rob stopped by the show this week to talk about Guru Express Websites with Mike and Tara, as well as discuss self-driving cars, and crack wise while Mike answered your tech questions.